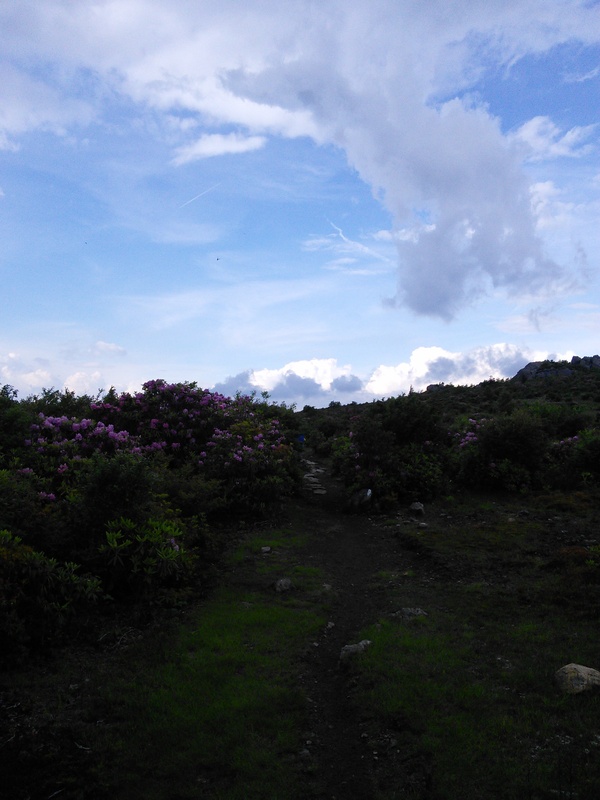 The Appalachian trail continues to amaze me. 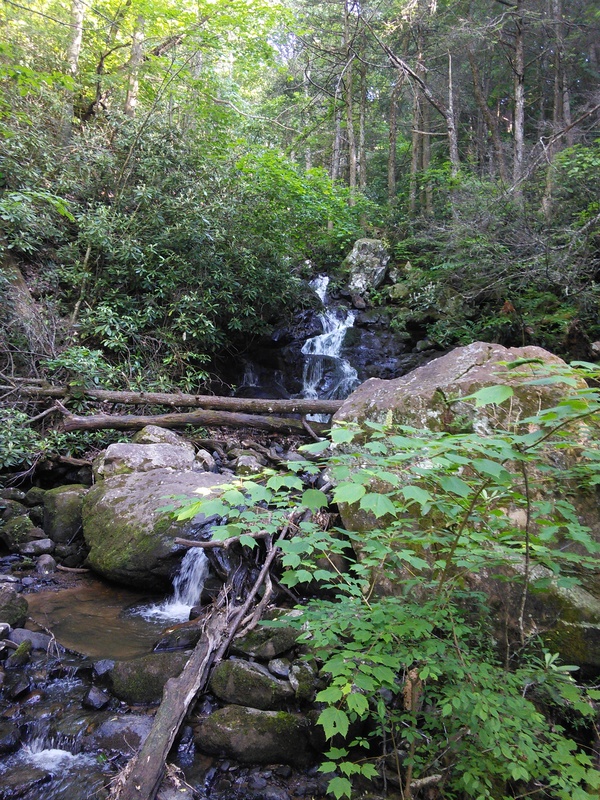 Whether being fascinated by the diverse life in the canopy of the green tunnel, skipping across streams, or taking in the views of the Grayson Highlands beauty is all around us. Since leaving Damascus much of our journey has kept us covered in the green tunnel. 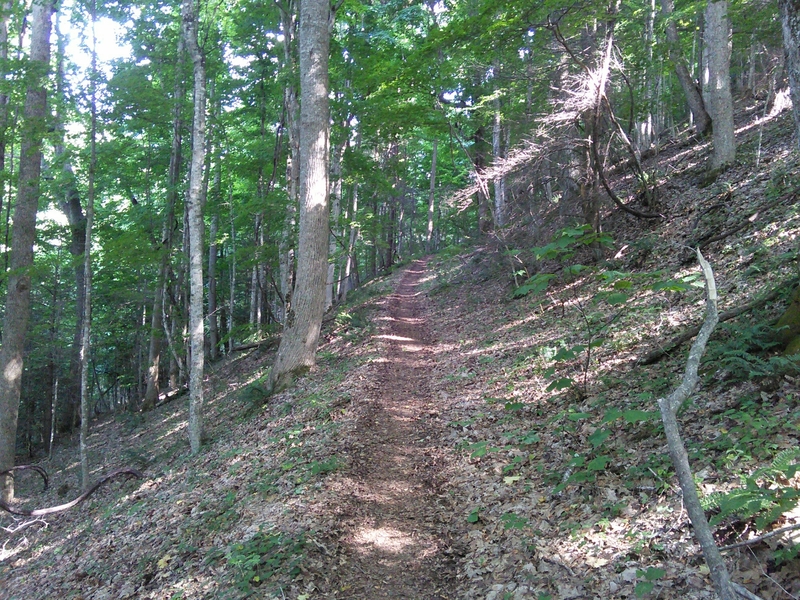 The Appalachian trail is often referred to as the green tunnel. This is due to the fact that sometimes for hundreds of miles all you see is the green canopy above, the green shrubs surrounding, and the mossy green undergrowth. But amidst this sea of green there life abounds. I heard it stated there is a minimum of 3 spiders for every 5 square feet of ground. I concur with this statement. There are salamanders in every trickle of water. Chipmunks scurrying across the leaves. Snakes sun themselves on the trail. Every now and then the trail changes shape. You emerge from the trees after climbing steep rocky ridges. And a whole new world engulfs you. 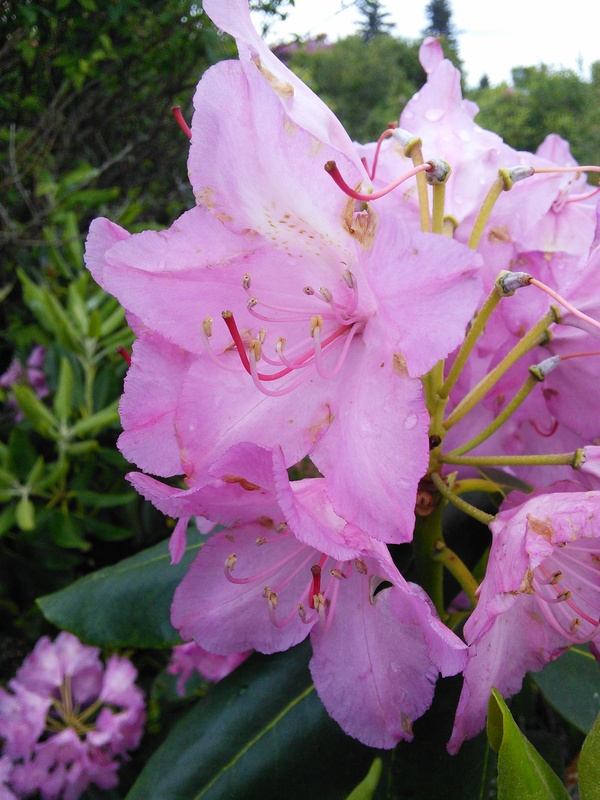 Pink mountains covered in blooming rhododendron’s. Great gray rocks dot the landscape. The trail forces you to play mountain goat as you hop from one lopsided rock to the next. You accept this challenge gladly knowing that you’re highly likely to see wild ponies. Upon scaling a rocky knob you spot a dozen colorful wild ponies in the distance. 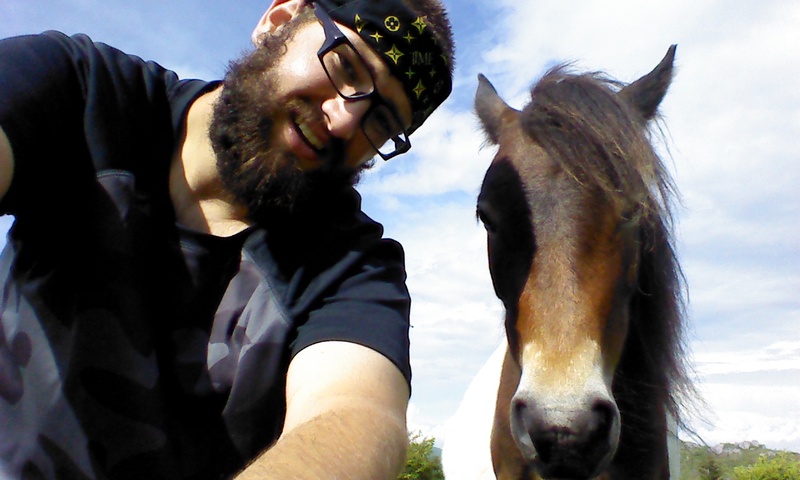 A day spent playing with wild ponies is always a good day. Eventually you return to the green tunnel you have learned to call home. You take a deep breath and smell the moist earth all around you. At the end of the day you feel like a hardened price of wood. But you are happy. You are amazing! I am so blessed to be your mother. This truly is amazing!!! Love you! Makes me want to come see what you are seeing!